A free conference call service allows you to host conference calls, video meetings, or both at no cost to you. We looked at the top free conference call services and providers that offered a completely free tier to narrow it down to six. We compared the number of participants and features to identify the best free conference call service. FreeConferenceCall.com (Best Overall) Businesses that need a comprehensive free conference call service. UberConference Startups that hold scheduled conference calls with up to 10 people. FreeConference.com Those who want a free conference number with toll-free international call-in numbers. Google Hangouts Companies that use G Suite products and want to sync communications across devices. Zoom Businesses that want a robust video conference service with a great mobile app. GoToMeeting Companies looking for a brand name product with robust video collaboration capabilities. Free conference call services allow you to host calls with multiple participants either over your phone system or online without a subscription fee or additional hardware. When determining the best, we considered factors like price, features, call quality, and ease of use in order to determine the overall best for small business. FreeConferenceCall.com is our recommendation for the best free conference call service because it supports up to 1,000 participants with call recording, participant controls, and calendar integrations. Meetings are easy to schedule and the system, whether you use it for an audio call or online meeting, is simple to use. However, its call recording capability is limited. FreeConferenceCall.com is a conference bridge provider offering call recording, web management and calendar integrations for up to 1,000 participants, which far exceeds limits imposed by other services. The service is easy to sign up for and while it offers a paid plan, the free option is the best choice for a business that needs a robust conference calling system without paying any subscription or per user fees. FreeConferenceCall.com’s web-based conferencing service is available for free, but they also offer a premium service. The premium service costs $6.95 for a month and includes additional features such as custom hold music, customized greetings, and additional storage for recorded calls. FreeConferenceCall.com is perhaps the most feature-rich, free conference call service. 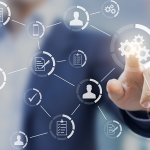 The free service offers many of the same features and tools as many other paid providers, such as calendar integrations, and a local desktop app. The service can also be used to host webinars and provides online storage for any recorded meetings. With FreeConferenceCall.com, you can host online meetings with as many as 1,000 participants, much larger than any other provider. The paid version of the service can support as many as 50,000 participants in a large meeting. FreeConferenceCall.com offers what’s called a reservation-less service. This means that you can host a meeting anytime without needing to schedule your meeting in advance. Once your conference call is underway, you can mute callers, start recordings, lock the call and end the call. The web-based controls also give you the added benefit of being able to see each person on the call. FreeConferenceCall.com provides a conference recording feature. You can initiate recordings of your audio/video conference from the local desktop app, and all your recordings are automatically saved in the online storage offered by the conference call service provider. A surprising feature to find with a free conference call service provider is a mobile app for iOS and Android devices. You can host audio and video meetings, manage your calls and account, and join meetings in progress directly from your mobile phone. Signing up for the service takes seconds. You create your free account by entering your email address and a password. You are then given a confirmation email that includes your conference call telephone number, access code, and host PIN. It also includes your online meeting ID, your playback number, and a brief overview on how to host your first call. FreeConferenceCall.com’s customer support is fantastic. It was surprising to speak with a live support representative for a completely free service. All questions were answered with great detail and they provided a clear explanation of the differences between the free version of the service and the paid service, without a pushy sales pitch. There wasn’t much missing from FreeConferenceCall.com in regards to features. The online storage is limited to 1GB of storage for video or audio call recordings. However, this isn’t necessarily a deal-breaker because this 1GB equates to 90 minutes of video and about 10 hours of audio. You can also download all recordings and delete them from the web portal to preserve storage. Businesses that use this conference call service love that it’s free and reliable. The support for up to 1,000 callers on a conference with features like call recording, screen sharing, and international numbers is a favorite among many small business owners. You can get started with FreeConferenceCall.com directly from their website. It takes just a few moments to sign up, or you can download the app from the App Store or Android marketplace and get started that way. Get your free conference call service by using the button below. UberConference is a free conference call service that allows you to host online meetings. It can accommodate up to 10 callers for free on a call and includes many features, such as calling attendees for scheduled calls rather than making them remember to call in as well giving them the ability to record meetings or add participants to a call while it’s in progress. This is best for the startup that regularly needs to conference with 10 callers or less. UberConference is free for up to ten participants and includes screen and document sharing. There is also a premium version of the conference call service that costs $15 per user per month. The premium version includes all the same features of the free version but allows for up to 100 participants and international access numbers. UberConference’s free service plan includes many of the features and tools that businesses are looking for in a conference call service, but one of its best features is its unique ability to call participants directly when a conference call begins, which helps make calls more efficient by reducing the risk of participants forgetting access numbers or calling in to a conference late. With UberConference, you can host online meetings with up to 10 participants for free, but it does not support international call-in numbers like FreeConferencecall.com does. However, the paid version of the service can supports up to 100 callers and participants can join with their computer, phone or the mobile app. UberConference also allows you to host meetings by phone, browser or mobile app with no advance notice required. You can start recordings, share documents with callers, and record meetings for playback at any time. You also have the ability to dial out from the meeting to bring another participant into the conference call or configure the system to automatically call each participant when your meeting is ready to begin. UberConference also provides a recording feature for your conference calls. You can record and save phone meetings as an MP3 file, which you can download at any time. Unlike FreeConferenceCall.com, video recording isn’t offered, but your recordings are sent to you in an email after every meeting. UberConference offers a mobile app for both iOS and Android devices. From the app, you’ll have all of the same features and controls as you would using the system through the web portal. You can easily start and join a conference call, and see who else is on the call and control the conference. From start to finish, UberConference could not have been easier to use. Within seconds of signing up, you can start conferencing. The simple design and layout helps you move quickly and hassle-free, and the simple online dashboard shows you everyone on your conference call and uses an icon to show who’s actively speaking during the meeting. The customer support offered by UberConference is top-notch. You can contact a support technician by creating a support ticket or sending an email. They also have an online knowledge base with a comprehensive list of frequently asked questions, videos, and training material, so you can search for answers to your issues before contacting a representative. The biggest drawback of UberConference is the lack of video support. The quality of the calls could also use some improvement, as there can sometimes be audio feedback or static that could interfere with a conference call. Business owners who use UberConference are satisfied with the simplicity of the service. Some of the automated tools make management easier for business owners. However, some, but not all, users expressed dissatisfaction with the quality of the audio on conference calls. You can get started with UberConference by signing up from their website. The setup process is quick and easy and you can be hosting a conference call in just minutes. Get started with UberConference by using the button below. FreeConference.com is a conference service provider that is easy to use and offers a free plan with a rich set of features. It supports up to 400 participants and offers many features of other free conference call services, but also offers toll-free call-in numbers for international callers. This makes this the best for businesses that conduct conference calls with a large number of international participants. FreeConference.com offers unlimited conference calls for up to 400 phone participants as part of its free service, as well as up to five online meeting participants and free international dial-ins. There are also three paid plans that range in price from $9.99 to $34.99 per month, which include additional premium minutes, call recording, and meeting lock. FreeConference.com free plan includes features like unlimited conference calls, video conferencing, calendar integration, screen sharing, and meeting smart search. It supports up to 400 phone participants for free, which is significantly more than other free services, and offers toll-free international call-in numbers. Conference scheduling using FreeConference.com’s mobile app. FreeConference.com allows you to hold unlimited free audio conference calls with up to 400 people at a time. You can also get a free international number, allowing callers from 15 different countries to call a number that is local to their area. The service also supports up to five participants in an online video call. FreeConference.com accounts come with a primary local or international number, a pin number for the administrator, and an access code. With these, you can use your account at any time to start a conference on demand or schedule with your attendees. You’ll have the same standard controls, such as muting callers, and both the host and participants can share their screens in a video call. This is a benefit, as most other services limit screen sharing to just the account holder. FreeConference.com does not offer call recording as part of its free plan, but the feature is available with its paid plan as well as audio transcription. Unfortunately, these are only available with the paid plans. With the click of a button, you can record your conference as an MP3 and can do so from either the online portal or just the phone. Video recording captures all elements of your meeting, including audio, video, any screen shares, and presentations. FreeConference.com’s app allows you to instantly start or schedule a free conference call right from the palm of your hand. You can manage your conference call meetings and all aspects of your account with the app. FreeConference.com’s setup, like the previous providers, is quick and simple. You can create your account directly from their website and get started right away. There are no desktop app downloads required to use the conference call service; you can dial the number that’s given to you once your account is created and enter the access code to start a meeting with your phone. FreeConference.com has a large collection of how-to videos, tools and tips, frequently asked questions, and getting started guides to help you find answers to any questions you might have. If these resources don’t give you the answers you’re looking for, you can contact their customer support through their toll-free support number. The lack of support for audio and video recording with the free tier is a big drawback for FreeConference.com. Another disadvantage of the service is that you can’t lock your meetings, so anyone can join your conference call with the number and access code provided regardless of whether they’ve been invited to the meeting or not. The simple setup, how easy it is to schedule a call with participants, and the call quality is a favorite among business owners. Others love the interface, getting a free dedicated number, and the reminder emails that get sent by the system for scheduled conference calls. You can get started with FreeConference.com right from their website. In just a few clicks, you can create your account and start making conference calls right away. Get started with FreeConference.com by using the button below. Google Hangouts is a free virtual conference call service that allows you to host and participate in virtual meetings. It syncs across all your devices, giving you a history of all messages exchanged during conference calls, and is tied into your Gmail and Google Calendar for easy scheduling of conference calls. It’s best for entrepreneurs and businesses that are already using Google to manage their business and are looking for a free conference call service. Google Hangouts is completely free to use, but requires you to have a G Suite sign-in. However, it is also free to sign up for a free personal G Suite account. G Suite for business starts at $6 per month per user and includes access to Docs, Sheets, and other business productivity tools. While Google Hangouts is positioned as a great service for individual one-on-one meetings, it works as a great free conference call service with no limits on the length of the call. It provides HD video, audio and meeting controls, and integrates with your Google contacts, calendar, and Gmail at no cost to use. With Google Hangouts, you can perform a group video chat with up to 25 users. Unlike the other providers, Hangouts doesn’t directly provide you with a phone number. You’ll need to obtain a virtual phone number from Google Voice for use with your Hangouts. Callers can get into your meeting through your individual web link or with your virtual phone number. Google Hangouts has similar call controls as the other providers. You can mute callers and share screens for presentations. With the mobile interface, you can see who is in the meeting and communicate privately in a chatroom, and there are buttons to turn your camera on and off. Recording of audio and video conference calls isn’t available with Google Hangouts, as Google would prefer to host recorded videos on its other product, YouTube. There is also no voice transcription service included with Google Hangouts. If recording is a must-have for you, FreeConferenceCall.com might be a better fit. Google Hangouts can be accessed on your mobile device and is available for both Apple and Android systems. With your mobile app, you can host and join meetings and even use your mobile phone’s camera to participate in a video call. Setting up and using Google Hangouts is as simple as it gets. All you need is a free Google account, and you can set up an online conference call. The interface is surprisingly easy to navigate; it connects to your Gmail account and is directly integrated with your Google Calendar, making it easy to add schedule Hangouts conference calls. The lack of recording is a disadvantage of using Google Hangouts. Also, customer service isn’t available for the free service of Google Hangouts, so you’ll have to rely on forums and online searches to find resolutions to any problem you might have. This can be a deterrent to some users who want the security of having a customer service team to help them with any questions. Users of Google Hangouts love how well it integrates with all their Google accounts and other services, and feel that it has an intuitive interface that works even for those who aren’t technologically savvy. Others would like to see more tools with the service that give more control during conference calls without interrupting the call. Getting started is unbelievably easy. With a Google account, all you have to do is access the Google Hangouts page and you can start your meeting. No additional setup required. Start hosting conference calls with Google Hangouts by using the button below. Zoom is a comprehensive, cloud-based conference call service that is easy to use and offers both a free and paid conference call service. 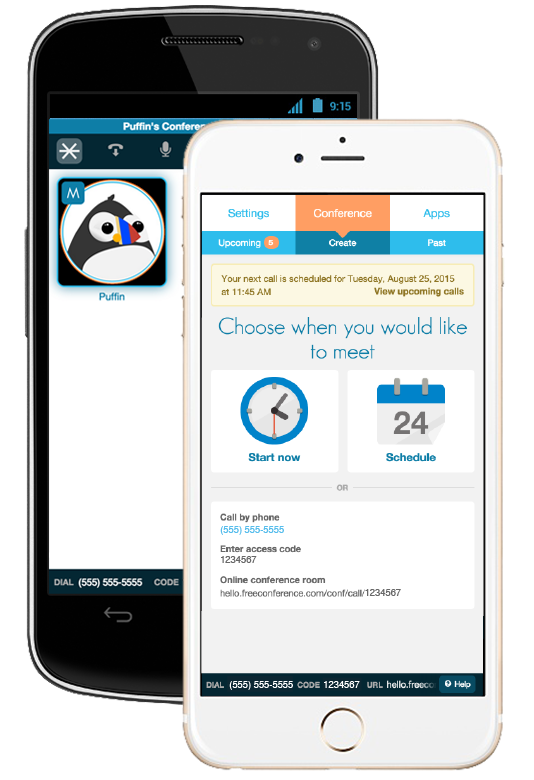 It features high-quality HD video and audio support for conference calls, all provided at no cost, and features one of the most user-friendly mobile apps. This is a great option for companies that want to make video conference calls in the office or on the go. Zoom’s free service allows you to host video conferences for up to 40 minutes and supports up to 100 participants. There are also paid plans that range in price from $14.99 to $19.99 per month per meeting. These paid plans remove the limitation on conference length and include additional administrative controls. Zoom offers a wide array of video features, such screen sharing, desktop and app sharing, instant meetings, reservations and scheduled meetings, and even private and group chats. Zoom supports audio calls, but it is best for video. Its mobile app, which is one of the most user-friendly of the tools compared, allows participants to schedule and join conference calls whether they are at their desk or out in the field, provided there is a strong internet connection. With Zoom, you can host online meetings with as many as 100 callers for free. With the free version of Zoom, you are limited to 40-minute sessions for video and audio conference calls, but you’ll still have access to all the features of the service. This limitation on call length for its free version does put it at a disadvantage when compared to Google Hangouts. Free users of Zoom can mute and control callers, turn the video camera on and off, invite new participants to join while a meeting is in progress, share screens or record the presentation. When reserving and scheduling a meeting, you can automatically add those to your Outlook and Gmail calendars and send meeting invitations directly from Zoom. Zoom allows you to record conference calls and functions like most other conference call services. Its recording feature will capture both the audio and video from any meeting and make them available for you to download immediately after the meeting. Zoom’s mobile app is the most user-friendly of all the tools we compared. Available for both iOS and Android phones, you can create your account if you’re a new user and sign in to your account. With the app, you can host and join meetings, see a list of all previously attended meetings, chat with meeting attendees and perform all the same functions that you would with the online portal. Zoom’s platform is pretty straightforward and easy to understand. While it does have a long list of features, the online dashboard is not difficult to navigate. Zoom automatically presents the video feed of the active participant, which is the person currently speaking. Many of the available options are simple and self-explanatory. Even those who aren’t technologically savvy will be able to pick it up quickly. Zoom does offer 24/7 customer support, but only for those on one of the paid subscription plans. With the free version, you’ll have access to their online help desk, one-minute video tutorials and frequently asked questions to help yourself with any questions. You can also submit a support ticket to get in touch with the technical support team. There isn’t much missing from Zoom when it comes to available features. The 40-minute limit on conference calls is a bit of a disadvantage, as other free conference call services allow for unlimited meetings. Business owners and users of Zoom strongly feel that it makes video conferencing easy. They love the ability to schedule a meeting and have it automatically added to their calendars, and feel that it’s a great substitute for in-person meetings. Signing up for Zoom takes just a few minutes. You can create your account from either their website or through the mobile app downloaded from the app stores. Get started with Zoom by clicking the button below. GoToMeeting is a conference call service provided by Citrix. It offers phone and VoIP audio conferencing as well as video conferencing with screen sharing, annotation functionality, and chat messaging for up to 10 participants at no cost with no download required. It is, therefore, best for small teams who want a video conferencing tool designed for group collaboration. GoToMeeting offers a free trial for fourteen days. However, after the trial has ended, you will be asked to sign up for one of their paid plans. The paid plans range in price from $19 per month for up to ten participants to $49 per month and up to 250 participants. The free version of GoToMeeting doesn’t require any downloads to run, and nor does it require your participants to download the software either, unlike other services. All the available features, such as webcam sharing, screen sharing, meeting recording, and others, can all be run directly from your web browser. Participants can also draw on shared screens with its built-in annotation feature, making collaboration easier. With the free version of GoToMeeting, you can host unlimited meetings for up to 10 participants. While not as many as providers like FreeConferenceCall.com or Zoom, the ability to use just the web browser with no additional software does provide a slight advantage over the other conference call services. With GoToMeeting, you’ll have a lot of the same controls that you’ll find with other conference call services. You can invite others to your conference call while a meeting is in progress, share your screen or a specific application on your computer. You can give participates the ability to draw on shared screens, mute and unmute attendees, and even make other attendees presenters. GoToMeeting allows you to record your conference calls with a cloud recording feature. With the click of a button, you can record your meeting and have it automatically saved online. Once your conference call is complete, a meeting summary page is loaded that allows you to play the recording, copy the link to share with others, and download and even delete the recordings. GoToMeeting does have a mobile app that’s available for Apple and Android devices, but the app and its available features are only available to users on one of the paid subscription plans. If a mobile app is a must-have for your free conference call service, then a provider like Zoom might be a better choice for you. Signing up for GoToMeeting is easy and takes only a few moments. With just an email address, you can create your account and start your first online conference call in minutes through the online portal. GoToMeeting’s customer support is quite comprehensive. You can reach a support representative over the phone, or get 24/7 support through support tickets. There are plenty of resources such as frequently asked questions, how-to videos and getting started guides that will help you get the information you need when you have an issue. The free version of GoToMeeting doesn’t provide a conference number and access code for users to join a conference call over the phone. It’s strictly a web-based conference call service that uses VoIP to connect users on a conference call. So, if you need to have a virtual phone number for your conference call with an access code for callers, then perhaps FreeConferenceCall.com is a better fit. Users who are happy with GoToMeeting liked that it can be used just about anywhere. They loved the ability to host meetings from their mobile devices and found screen sharing to be incredibly helpful. For more detailed reviews of the conference call service, check out our user reviews of GoToMeeting. Signing up for GoToMeeting is quick and easy. Once you’ve completed the signup form, you can customize your meeting name and start using the conference call service right away. A 14-day free trial of the premium service is available and you can use all the features of GoToMeeting before resorting to the free web-based conference call service. Get started with GoToMeeting by using the button below. Conference call services provide a simple and convenient way to hold meetings with team members, remote employees, and even customers. There are numerous factors to consider when looking at a free conference call service, such as whether it supports the number of callers you need and if it has a comprehensive set of features. With all the providers that provide free conference call services, we found FreeConferenceCall.com to be the best. FreeConferenceCall.com gets our recommendation as the best free conference call service. 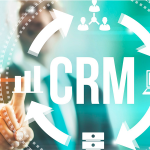 It offers a wide selection of features that will be valuable to any business, supports as many as 1,000 users, and provides excellent customer support for no cost. If you’re looking for a conference call service that will grow with your business and allow you to reach a large number of users with a conference call or webinar, FreeConferenceCall.com is the best choice for you. Thanks for chiming in. We’ll be sure to update the article with that info on our next revision! There is also Globafy. They have free conference calls for around 50 countries with unlimited use. The best thing is you dont have to even sign up to use the service. It is not based in the US but is free for US users to have conferences within the US and outside. Thanks for sharing. We’ll check it out on our next update. Wiggio is out of business, the site is shut down. Thanks for the heads up; we’ll be updating the guide accordingly. UberConference might be great if you are in the US or Canada but they don’t seem to have local numbers for other countries. It’s going to work out very expensive if everyone in the conference has to make an international call. Thanks for sharing with our readers! For simplicity and large call volumes, conferencetown.com and zillaconfernence.com are far superior to the ones listed here. I’ve tried 7 or 8 different ones over the years, and the free companies can often match the paid ones. The ones I listed have recording and a dashboard that lets you see the callers, mute the callers, etc. So if you don’t need screen sharing and drawing and just conference calls the choice is simple. Thanks for the suggestion. We’ll check these out during the next revision.